This year for the sixth time on the topic … there’s still more to conquer! For the sixth time, we are dedicating the Normal Festival to the life stories and artistic work of people who are slower at some things, who have more difficulty getting their bearings in the surrounding world and who probably did not excel in school. 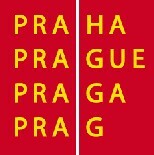 This year, the Festival follows up on a two-day international conference entitled Conquering Public Spaces, at which nearly 40 organisations devoted to creative work with people with learning disabilities will present themselves in Prague. They hit the streets with microphones and cameras capturing events small and large – the cultural events of their friends, life in daytime care facilities and even in a Czech village in the Banat region of Romania, opinions of the expert public and of politicians on global warming and flooding the world with rubbish, they blog about what a day in their lives is like, film a reportage about the Kaplický Library, they exhibit in their favourite cafés and, after initial success with their theatrical production Cabaret at the End of the World, they are already working on another one. They collaborate with Inventura and have learning disabilities. This year, too, they conquered public spaces in a range of areas of artistic and journalistic creation, and determined that there’s still more to conquer. At the Normal Festival, they will present their work again in the context of art by people with learning disabilities and about such individuals from around the world.